Procrastination is a problem with most of us. It is also inability to manage emotions. Procrastination is related to your emotions. We all procrastinate at some point. Some people are chronic procrastinators and some do procrastinate but not always. I have a tendency to overlook my dishes. I will see in the kitchen sink and always think to do it later. I have to push myself to do my dishes. Believe me it is a difficult task for me. One more thing I am lazy about is calling somebody.The point is we all procrastinate. Procrastination makes us lazy or we procrastinate because we are lazy. Laziness and procrastination are different. Laziness is unwilling to do anything. And procrastination is doing something less important instead of important tasks. Procrastination wastes lot of time. First of all right down the thoughts come into your mind when you want to do some important task. Pay attention to what you want to do instead of the task at hand. Know why you start wasting your time hear and there. Why you feel good while doing doing other unimportant things. When you know that you are not concentrating on important things, it will be easy to bring back your attention to important task . Only then you will be able to devise some plan to counteract the habit of procrastination. It is addictive. I can say from personal experience. You just enjoy putting off things. After some time, when you realize that you have wasted lot of time, then the guilt of not doing anything makes you miserable. It is human nature to put off work until last minute. And at the end, with lot of pressure on you , you just don’t accomplish anything. And this gives stress too. To avoid this kind of stress and do your work properly. it is important to start doing it now. This is the right moment. Otherwise right moment will never come. When you start your work now, you will have some energy to start your work. Otherwise your energy will deplete and procrastination sets its tone. And once it comes into picture, it becomes difficult to trick your brain. If you have one bog thing written on your plan to do. It means you have a whole day to do your work. 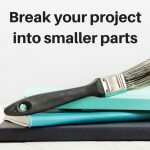 Break into smaller tasks. It will be easy on your brain and you will not get frightened. Also your brain will not be tricked into thinking that you have whole day to do your work. 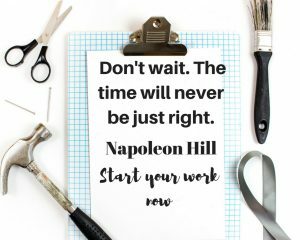 Start your work now. And you will see in no time you have done a lot. If you know your self that you can procrastinate , not starting your work will be detrimental. When you are in the mood of procrastination, you will find it very difficult to concentrate on work. 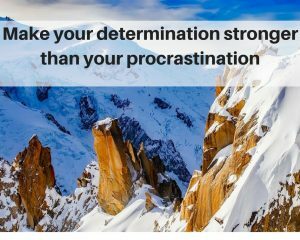 Yes as researchers say that procrastination is not a habit. It is biological. f you will not pay attention and senses to it, it will take over you. 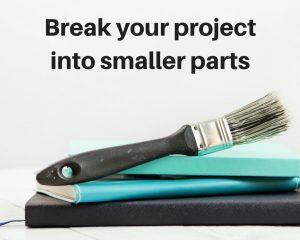 It is important that when you start a project, finish it. Finishing an important task will give you energy to start next task. You will see you have accomplished a lot before the procrastination sets in. And when you gathers courage to start a task and accomplish, you are in a constant mode of work. It is like Newton’s first law of motion ‘ An object at rest stays in the state of rest and an object in the motion stays in motion with the same speed and in same direction unless acted upon by an unbalanced force. Once the you are motion of doing work, you will goon. And if you comes into rest, you will stay in the resting mode. When you have that procrastinating habit, you will always find something else to do. Like making a cup of coffee or tea. Or say watch one TV serial. Keep it for later. Enjoy your TV serial or tea, coffee after finishing your work at hand. You will have lot more energy to take on another project ( task) easily. Rewarding yourself automatically motivates you to do more. This should be. Because only this way you can teach your mind to concentrate on important tasks. 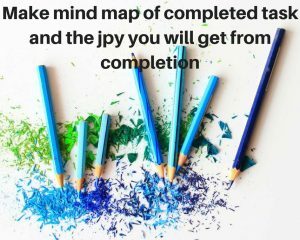 Instead of wasting time hear and there, make a mind map of accomplished task. And think about the feeling of joy it will give you. And the most important think about the reward you will give to yourself. I am a tea lover. And if I am home and I accomplish something difficult, I always think about tasty tea. I could wake up early in the morning with my senses sensing the flavor of tea. For me accomplished task is waking up early. And the reward is TEA. This is a very simple example, but works very well with procrastination. Don’t keep the things to yourself. It will be easy to put off things for later if nobody knows it. If you tell about your plans to family or friends, they will definitely reminds you. Friends are very good at this. I have lived in a hostel for seven years. I have one friend who was my roommate. I remember when she wanted to wake up early, she would tell me to wake her up in the morning. She would also tell me the excuses she will make in the morning to let her sleep. Like she had headache, backache or something else. But I had to wake her up in any case and don’t listen to her excuses. This is hilarious. But sometimes it was difficult to wake her up in the morning. But because she told me the problem, I would do everything to wake her up without listening to her excuses.